BELIEVE IT OR NOT… the grass is actually greener in your world in 2015. In the world of 1909, 776 years in the future, there are no animals, no God and, well, no future. At least, only 1909 years of it. You see they’re counting years backwards now. And there’s nothing you can do about it. Unless your name is Morda. He is the only one who believes that change is possible. But it’s going to take a very special person to help him achieve that. A woman. The woman he loves. The woman who has just been appointed… to kill him. 1909 – as a novel, it’s a one off. As a vision of the future, it may not be that far away. 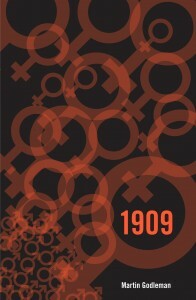 1909 – for sale now on amazon.co.uk.